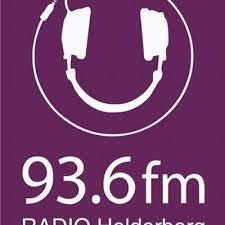 Radio Helderberg Listen Live Online . Radio Helderberg 93.6FM is a community radio station based in Somerset West, some 48km from Cape Town in the Western Cape. 93.6 FM’s footprint area includes Somerset West, Strand, Gordon’s Bay, Sir Lowry’s Pass, Nomzamo, Lwandle, Eerste River and Macassar. Other broadcast areas are Grabouw, Villiersdorp, Caledon, Hermanus, Gansbaai and Stellenbosch as well as selected areas of Cape Town including the northern and southern suburbs. It broadcasts mix of easy-listening music, regular news updates and a wide range of interesting and informative talk shows.